Summary: Encopresis is the involuntary (or intentional) passing of feces in inappropriate locations (e.g. underwear or on the floor), occurring at least once/month for three months, in a child over age 4. Avoidance or fear of using the toilet, such as for bowel movements? Having large stools every few days (e.g. 3-7 days) rather than every day or every other day? 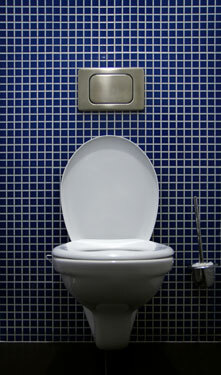 Bowel movements so large that it plugs the toilet? Smell of feces to the point where others such as peers, teachers and family members have noticed? Repeated passage of feces into inappropriate places (e.g., clothing, floor), whether involuntary or intentional. At least one such event occurs each month for at least 3 months. Chronological age is at least 4 years (or equivalent developmental level). The behavior is not attributable to the physiological effects of a substance (e.g., laxatives) or another medical condition except through a mechanism involving constipation. With constipation and overflow incontinence: There is evidence of constipation on physical examination or by history. Without constipation and overflow incontinence: There is no evidence of constipation on physical examination or by history.